Beginner skiers are very well catered for; the nursery slopes at village level encourage first timers to progress easily to higher runs. There are easy wide blue runs from the top of the mountain - very easy! Very suitable for young kids !! Livigno is an Intermediates paradise, with refreshingly few lift queues. Head up the Carosello gondola for a large selection of wide, sunny pistes over 3000 metres then cross the mountain to the stunning Costaccia ski area above the old town. 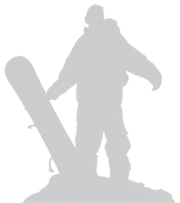 Advanced skiers or boarders can navigate the Black slopes or venture off-piste for any real challenging terrain. The excellent snow record that Livigno boasts means that there is often a good deal of powder snow on offer from early Dec to end April. Ski Italy Tours carves the way through Livigno! We are bringing a piece of Livigno home by working in partnership with a Livigno-based Agency with access to a wide range of accommodation. The fact that they are 100% based in Livigno means that the 'locals are on our side' so to say. Read some of our Testimonials from our clients. Livigno (1800 - 3000m) is situated in the stunning Valtellina alpine valley, in the middle of the Alps, close to the Swiss border and enjoys an excellent snow record due to its altitude and is an excellent snow safe resort in Europe. Boasting 110km of marked piste over 63 runs (15 chair-lifts, 14 drags and 3 gondolas) Livigno can be appreciated by all ability levels and is in addition very child-friendly. It laso has one the largest snow parks in Europe for the thrill-seekers as well as a well developed network of cross-country ( langlauf ) skiing tracks stretching across the whole valley. Livigno has managed to retain its rustic charm, culture and is still very much a traditional mountain resort as one would expect in northern Italy and Austria. The village is nestled between two mountains which play host to three prominent ski/board areas; Mottolino, Costaccia and Carosello 3000. The ski pass will include all these areas including the snow parks based at Mottolino and Carosello 3000. Mottolino: Mottolino ski area can be easily reached from the centre of town by the complimentary bus service which takes about 3 minutes or alternatively you can walk across the cross-country ski field which takes about 5 minutes. From San Rocco there are also buses available which take about 7 minutes. Costaccia and Carosello 3000: Costaccia and Carosello 3000 are located on the same side of the mountain. The Costaccia chair lifts are located at the foot of the mountain in the centre of town while the Carosello 3000 gondola is located at the foot of the mountain in San Rocco. You can travel between the two areas by bus, or alternatively ski or board to either one using the slopes. Livigno offers superb high altitude skiing on both sides of the valley and is known for its extensive, modern ski area and the traditional character of its original three villages. In addition, Livigno offers great winter entertainment and fantastic shopping thanks to its duty-free status dating back to Napoleonic times. The bustling traffic-free centre offers good value stores and designer boutiques and a variety of vibrant cafes, rustic bars and good restaurants provide après-ski options. Husky sledding, snowshoe walking and horse riding are just some of the non-ski activities available and the impressive Aquagranda Spa centre is well worth a visit. 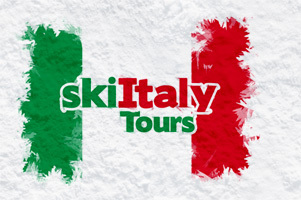 SkiItaly Tours for top skiing, fantastic shopping and great fun, all set in spectacular mountain scenery. Snowboarders are spoilt for choice! Livigno has 2 extreme snowboard parks, of which the Mottolino side has been voted the best in Italy. The latest additions, a new American freestyle park and 'Zoo' course with jumps and rails has upped the fun factor!